This week’s topic of discussion is something I have spent a lot of time going back and forth on in the last year or so. With the S13 chassis being well within the legal 25 year rule here in the United States, places like Japanese Classics have begun to bring over some seriously clean S chassis cars- many of them completely stock and with very low mileage. They do a great job with detailing and presenting these cars online in a way that makes them seem like the perfect replacement for a heavily-modified USDM chassis. This example sold for $11,495. In the pursuit of attempting to restore my 240SX, I’ve been really tempted to part it out and purchase a genuine kouki 180SX when they become available here in the states in the next couple of years. 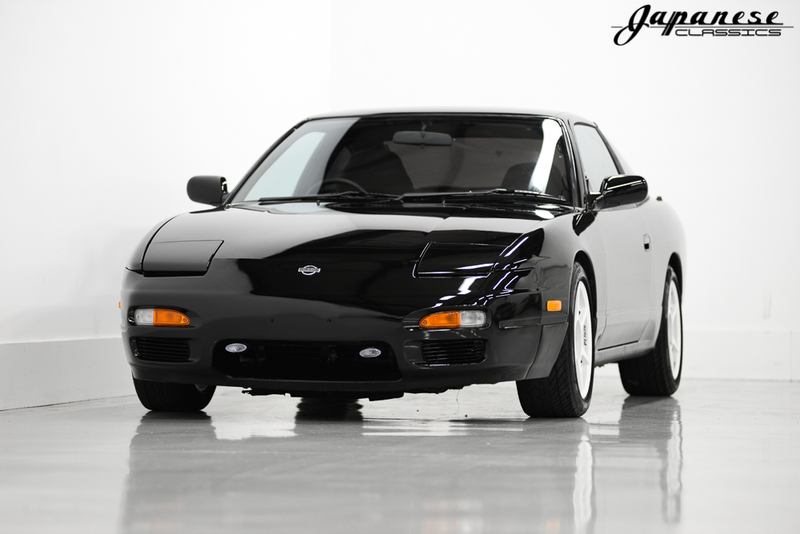 However, based on the price of the zenki and chuki cars being brought over at the moment, I can only imagine what a ’97 or ’98 180SX in pristine condition with complete factory aero is going to cost (I’m betting they will go for $20k easily when the time comes.) However, when I crunch the numbers it’s just not really feasible. I could essentially have my current 240SX with a host of modifications, or a bone stock 180SX. In many ways it’s amazing to think about owning a completely factory 180SX. The engine was installed from the factory and every nut, bolt, and mounting bracket is where it should be. There are no sketchy fitment issues or cobbled up wiring. All of the electronic functions of the car probably work flawlessly, including heat and AC. However, I think it would be pretty difficult for me to modify a car in such nice condition. I think I could allow myself to install minimal components that are easily reversed, but I would definitely feel a bit guilty about it. After considering making the switch, I came to realize that the PS13 Silvias and 180SXs being brought over by places like Japanese Classics are for a slightly different type of enthusiast. These cars are marketed toward people that want to own a clean and hassle-free example of a classic Nissan chassis without the headache of having to build and maintain one. This theoretically hassle-free experience is what you get when you pay $10-14k for one of these cars. 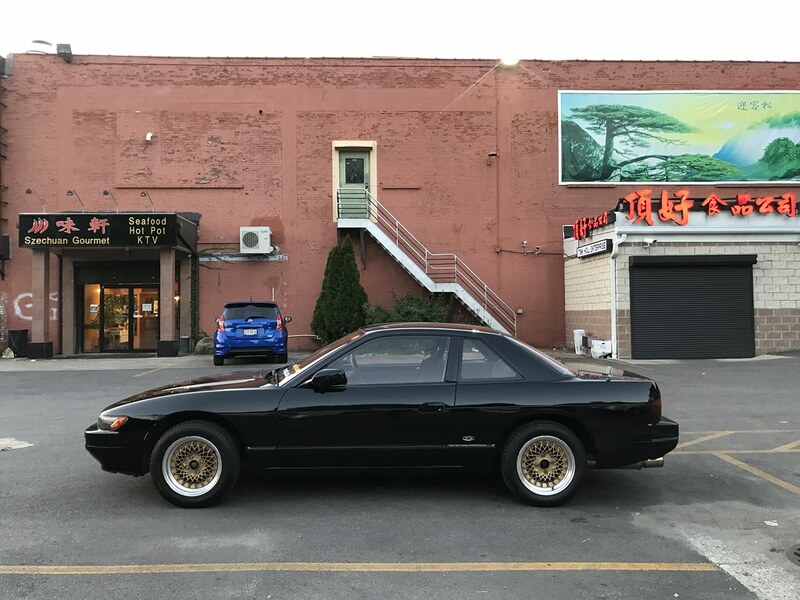 However, I constantly have to remind myself that it’s still a 25+ year old Nissan at the end of the day. There are going to be issues that arise just as there will be with a US market 240SX. A gentlemen from Ohio reached out to me last week and mentioned he is selling a very clean imported PS13. He had seen me mention that I really want to build one and thought I might be a good fit to purchase the car. While it was exceptionally clean and exactly what I would love to work from to build one of these cars, the cost would leave me with no funds left to achieve those modifications. Justifying spending $13-14k on a 27 year old car that I intend to modify is a difficult pill to swallow. Again, it’s an amazing car- but it made me realize this isn’t the experience I am looking for in an S chassis. While it might be the more difficult path to attempt to follow at times, I think my gut tells me that beginning a build with a USDM 240SX is what I will always enjoy the most. There’s something incredibly rewarding about starting with a fairly boring and aging US commuter car and turning it into a fun machine that emulates the way these cars were built and sold across the world in Japan. I take a lot of pride in my current chassis, and even though it’s not a true 180SX, I really enjoy discussing the details I have added to make it as much like one as possible (without going to extreme lengths like converting the car to RHD, which would introduce a host of problems for driving on US streets.) Researching those small details, sourcing the parts needed from Japan, and executing the build are what I really enjoy the most about this hobby. Is there a PS13 (240SX coupe) build in my future? I really hope so, but I guess only time will tell. If it does happen though, I would really like to work from a US chassis and build it to emulate a true Silvia. The process is half the fun for me. My wife and I depart tomorrow afternoon for Super D in Wisconsin! Fingers crossed for good weather and a reliable car. It should be a good time! I’ll be sure to post about the trip next week. Well honestly for me the appeal is that I don’t have anywhere to do any big work on my 240sx currently. A 180sx would allow me to at least own the chassis with the engine I’ve always wanted in it! I don’t think you should feel bad for modifying these cars. As long as people aren’t chopping them up I think its good to see everyone building the cars we went nuts for years ago! The main thing keeping me from pulling the trigger is that I feel almost as if I’m abandoning my s13 for the “easy way out”. If I can get over that then I’ll have a 180sx in my driveway! Definitely understand where you are coming from! Their are advantages to both sides of the coin no doubt.